For most of us, we have photos on our phones, computers, in the cloud, and often already printed in boxes. But what we really want is to have them where they can be enjoyed. With our busy schedules, adding your photos to a book or album needs to be quick and easy. What’s the next step? Set a date to get together with friends and customers, use the Year in a Snap Brochure to guide your customers through the process of ordering, and start preserving your memories. Get Rewarded for Making the Most of your Photos! Have you ordered products at a gathering? Or completed pages? Make sure you get credit for these and submit your numbers so you can be part of the drawings held on November 15, 2017. Let your customers know about Year in a Snap with these social media squares, Facebook headers, and email scripts. 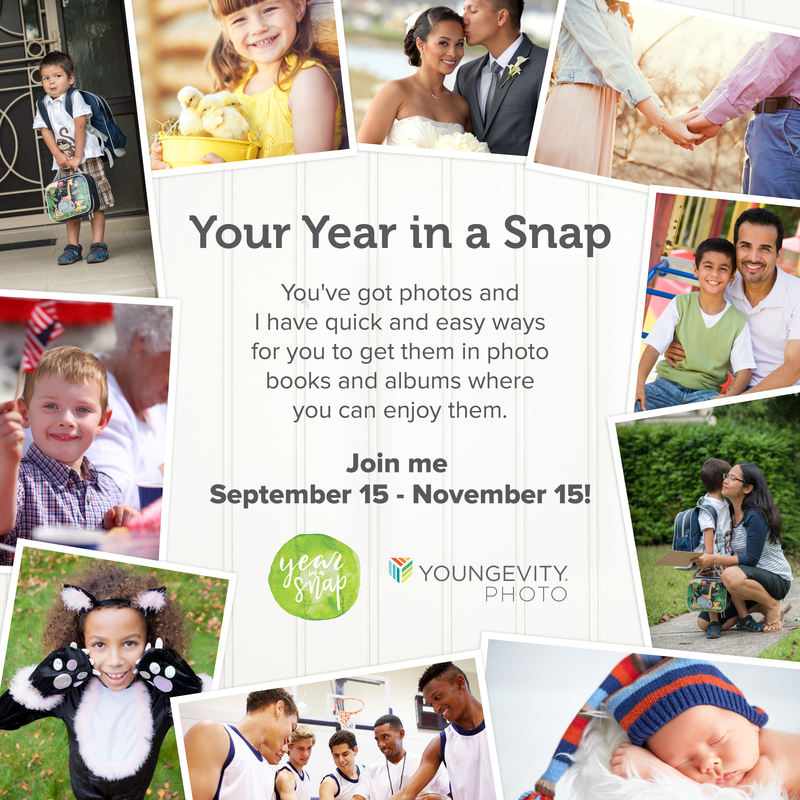 Get people excited about Year in a Snap by sharing on your social media pages using these images. Upload the Cover Photo to Facebook, and share the social media image to Facebook, Instagram, Twitter, and more. While the digital brochure is perfect for viewing online, there are times you’ll want a copy in your hands. Download and print the PDF version to share or make notes in or just have on hand. Start a conversation with your customers and your team using our invite scripts for email, Facebook, and texts. Customize them to fit your personal style, then get ready to chat!